Back when they were originally designed high-rise buildings were supposed to be the future of urban living. Adapted from J.G. Ballard’s dystopian novel the high rise building becomes a metaphor for not only British society but the relationship between man and creator. Robert Laing (Tom Hiddleston) (presumably named after R.D. Laing, the Scottish psychiatrist whose unusual methods in treating mental illness were highly controversial) is a newcomer to the building. Moving between the various floors, which are organised in terms of social hierarchy without ever being accepted by either group he seeks only to observe. Though set in an unnamed time period everything’s been retro-fitted to look like the 70s’ which stylises it too much and makes the film seem weirder than it should and therefore less believable when society eventually breaks down after a power failure paralyses the building. While the first half of High Rise is highly entertaining the film degenerates into an incoherent mess long before the end. What it does have going for it is an amazing cast. 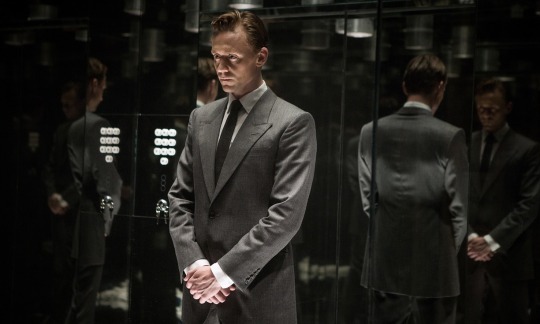 Hiddleston is melancholy and funny and can wear the hell out of a suit. Sienna Miller has quietly moved on from the tabloid nonsense that surrounded her and become the best British screen actress of her generation. Then there’s Luke Evans as a side-burned moustachioed rampaging alpha-male, James Purefoy as an upper-class bounder, and Keeley Hawes as a country house girl whose recreated her garden on the roof complete with a horse, Best of all nobody seems to have told Jeremy Irons he’s no longer playing Pope Alexander VI in The Borgias which means he’s awesome. The trend for retro crime stories impersonating 1970s’ cinema continues with this true life tale of Boston crime boss James ‘Whitey’ Bulger who ran the city with help from the FBI who paid him to inform on his rivals. 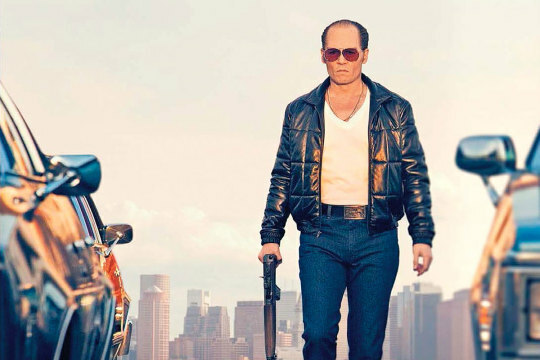 Depp has impressive form when it comes to gangster films. Mike Newell’s tense and ultimately moving Donnie Brasco (1997) about an undercover FBI Agent and his close relationship with the mafia foot-soldiers he’s trying to bring to justice remains one of Depp’s finest movies, and he’s very good as John Dillinger in Michael Mann’s Public Enemies (2009). Black Mass isn’t quite in their league. Although this has been hyped as a return to ‘proper’ acting for Depp after the fancy dress costumes and silly accents of the last decade or so the make-up for Whitey (dyed slicked-back receding hair, contact lenses) still makes him look like something out of a Tim Burton movie. Black Mass is gripping enough though and a vast improvement on Scott Cooper’s last film, the godawful Out of the Furnace (2013).